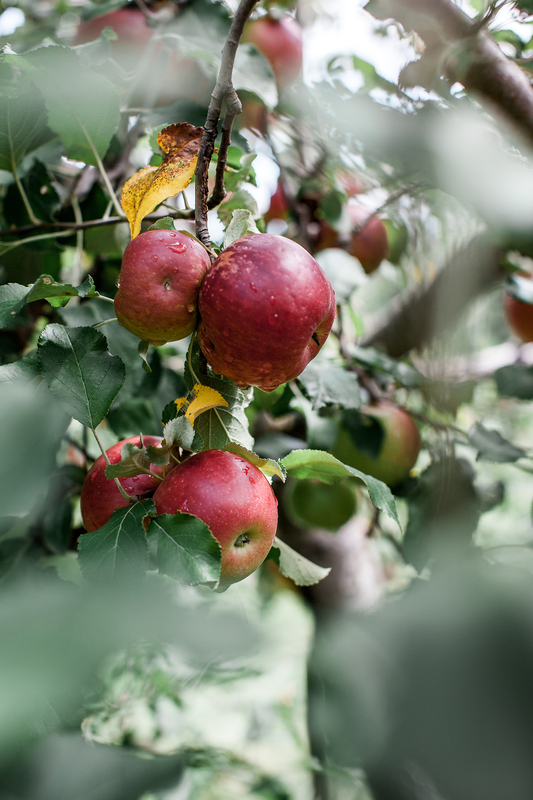 A few weeks ago, I spent the morning apple picking in 80-degree weather. It felt incongruent to say the least, but it was out of necessity that I went. 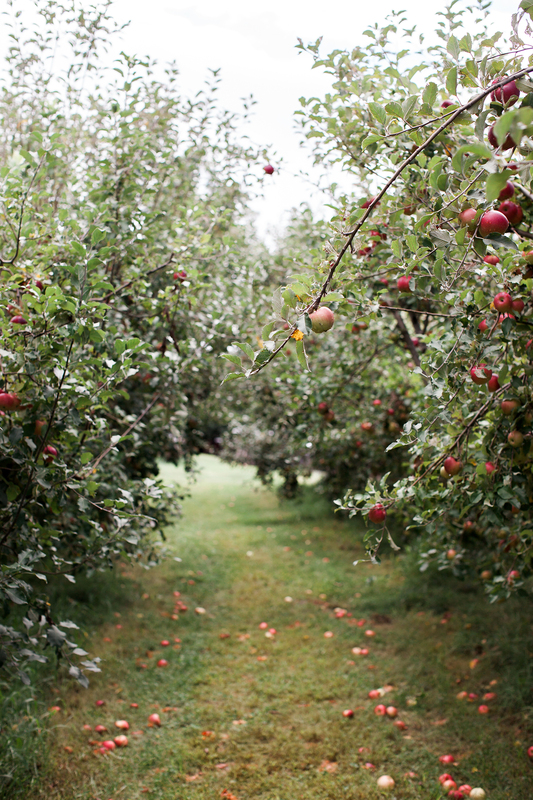 The orchards here are such a popular weekend outing that if one waits, even two weeks, then all the apples disappear. It was with the humidity high and sleeves rolled up that I bobbed-and-weaved my way through the quiet orchard. 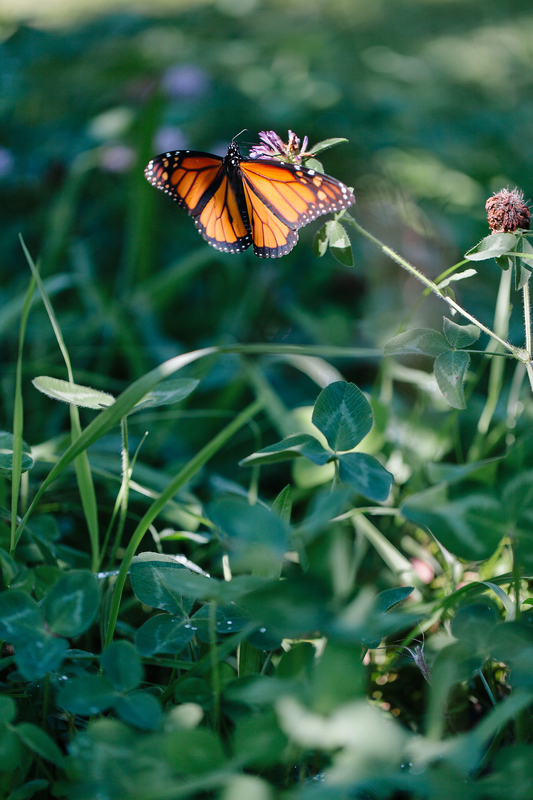 Some butterflies fluttered magically through the trees; others grazed the fallen apples in the tall grass. Another year of serene beauty in the apple orchards. 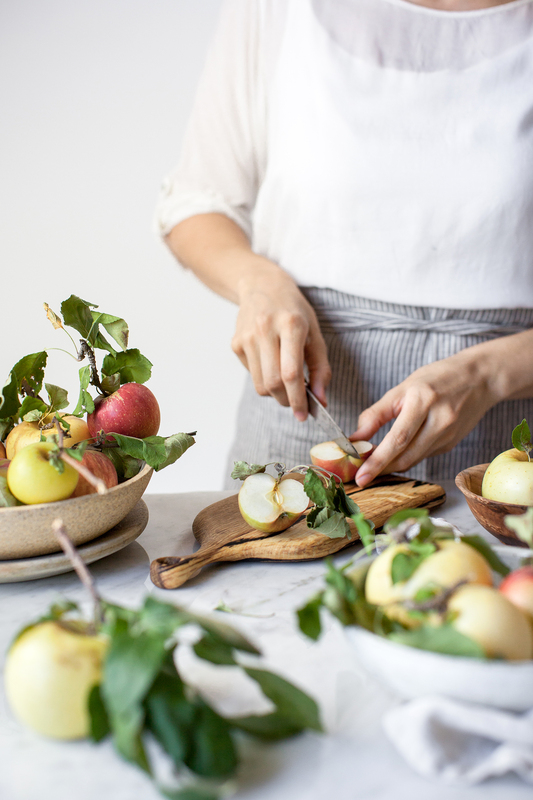 The most challenging aspect of apple picking is not the heat, bugs, or humidity; instead it’s deciding what to make with them first. 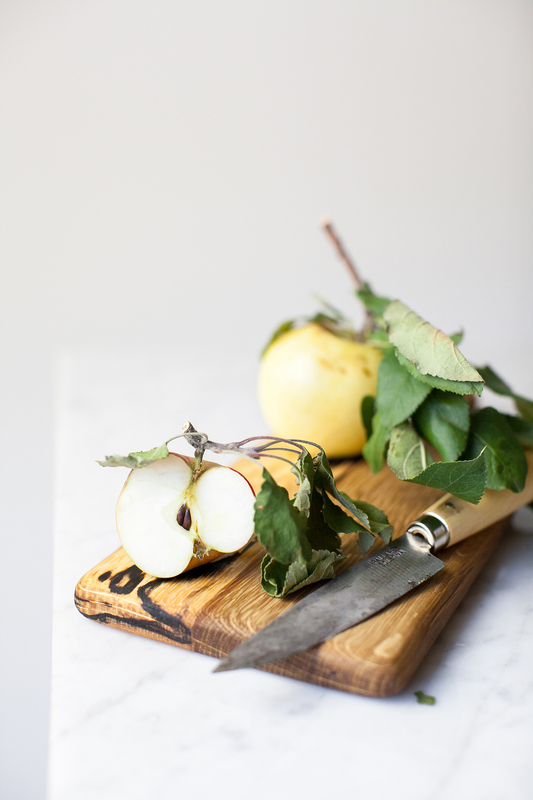 I’m a huge fan of apple and hazelnut together as their textural combination is mouthwatering. For the past few years, it’s been an apple and hazelnut loaf cake that kicks off apples season first. 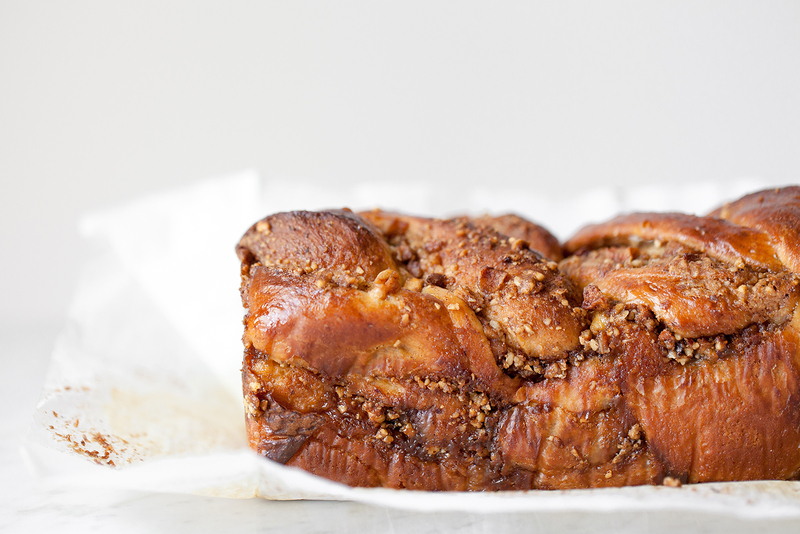 This year’s worthy runner-up is a Spiced Apple & Hazelnut Babka. Babka is an Eastern-European yeasted cake with a twisted filling of cinnamon, nuts, or chocolate (or whatever else one can slather and stuff in there). A cross between a cinnamon roll and brioche. Just like brioche, this is a dough that you’ll want to let rest overnight in the refrigerator. It’s very sticky from all the butter and eggs that are added in, making it virtually impossible to handle right after mixing. An overnight rest will help to firm up the dough making it easier to handle. If you don’t have overnight to wait, at least give it 8 hours in the refrigerator. The next day, all it takes is to make the filling, shape, proof, and bake. This recipe makes two loaves. Babka freezes really well, so one loaf can be enjoyed once it’s cooled and the second can go into the freezer. Babka also makes for some really incredible french toast, so slicing up an entire loaf for a weekend breakfast with family or friends would be a great option as well. I highly recommend it. In a small pot, or in the microwave, gently heat together the whole milk and water until warm to the touch (not hot). Pour into the bowl of a stand mixer and sprinkle in the yeast. Lightly mix them together and let rest for 5 minutes to activate. By hand, whisk in eggs, sugar, salt, and vanilla extract until combined. Place the bowl onto the stand mixer, attached with the dough hook, and add in flour. On low speed, mix until dough forms. Increase the speed to medium and continue to mix for 5 minutes more. On low speed, gradually add in the soft butter in tablespoon sized chunks. Wait to add in the next chunk of butter until the last has been incorporated into the dough. Once all the butter has been added, mix on medium speed for another 5 minutes. The dough will be a sticky mass and not form into a ball. Transfer the dough to a large bowl (using a bowl scraper or spatula will help here). Cover the bowl with plastic wrap and let rise, at room temperature, for 1 hour or until dough has doubled in size. Transfer bowl to the refrigerator and leave to chill and rest overnight. Next day, spray two 9 x 5-inch loaf pans (8 x 4 or 10 x 5-sized pans work as well) with cooking spray and line with parchment paper. Leave a slightly overhang of parchment paper for easier removal after baking. Prepare the filling (recipe below). Remove the dough from the refrigerator. Generously sprinkle a work surface with flour and scrape the dough on top. Cut the dough evenly in half and place one half back into the refrigerator. If desired, weigh the entire dough on a kitchen scale and divide exactly in half by weight for two exact loaves. With a floured rolling pin, roll out the first portion of dough to a 10 x 12-inch round. If the dough sticks to the work surface, scrape the bottom with a bench scraper and sprinkle more flour under the dough. Sprinkle on half of the hazelnut mixture, leaving about a 1-inch border on all sides, and evenly spread it across the surface with your fingers or a spoon. Repeat the process with half of the spiced apple mixture layered on top. To shape the babka (see photo tutorial below), start with the end closest to you. Gently roll the dough into a log. Once rolled, pinch the edges of the dough together to seal in the filling. With a lightly oiled knife blade (prevents sticking) cut the log in half lengthwise. Place the two exposed halves of dough, facing up, side-by-side. Cross the left top of the dough over the right and tuck the end under the top of the right. Next, gently cross the right dough over the left and alternately repeat the process until the dough is twisted into a tight spiral. Tuck both ends under to finish forming the spiral loaf. With floured hands, carefully lift and place the babka into the prepared loaf pan. Repeat the entire process with the second loaf. Cover loaf pans with plastic wrap and let rise, at room temperature, for 1 – 1/2 hours. Babka will be puffy and domed when ready. Preheat the oven to 350F, about 30 minutes before the dough is finished rising. Gently brush the entire surface of both loaves with prepared egg wash (recipe below). Place loaf pans onto a large baking sheet and transfer to the oven. Bake for 45- 50 minutes, until deeply golden brown and skewer inserted in the center comes out clean. If needed, tent the loaves with foil when the edges begin to look burnt, about 30 – 35 minutes into baking. Remove from oven and let cool, on cooling rack, for 10 minutes. Carefully lift loaves out of their pans, using the parchment paper overhang, and set back on cooling rack to cool completely. Once cool, wrap tightly in plastic wrap and store, at room temperature, for up to one week. For freezer storage, wrap loaf in plastic wrap and seal into a freezer bag. Store in the freezer for up to 3 months. Preheat oven to 350F. Peel, core, and cut the apples into 1/4-inch to 1/2-inch sized cubes. In a sauté pan, over medium-high heat, melt the 2-ounces of butter. Add the apples, 1 tsp cinnamon, ginger, and clove. Sauté until juices evaporate and apples are tender, about 4-5 minutes. 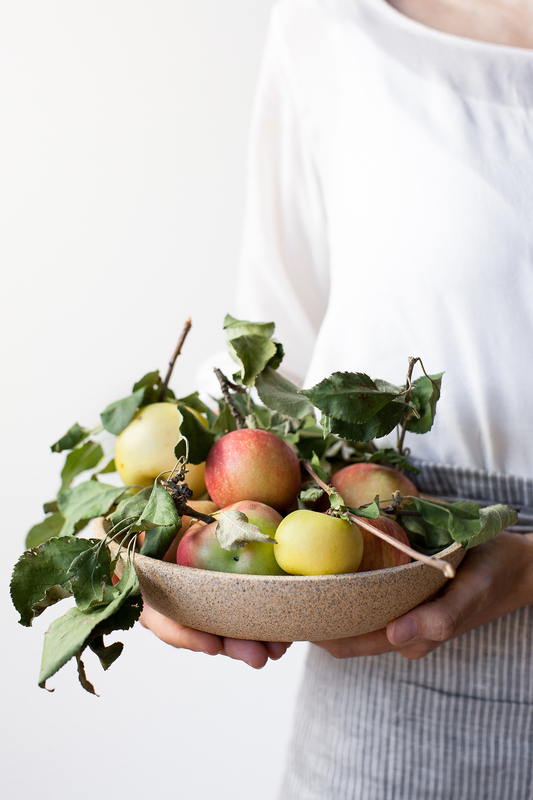 Transfer cooked apples to a baking sheet or plate and spread into a single layer. Set aside and let cool completely. Meanwhile, place hazelnuts on a rimmed baking sheet and toast in the oven for 10 – 15 minutes. Hazelnuts will be fragrant and skins will begin to pop off. Remove from oven and let cool slightly. Wrap hazelnuts in a large kitchen towel and rub together to remove skins (it’s ok if some skins don’t rub off). Once hazelnuts have cooled, place them in a food processor and grind until fine. Take care not to process too long or it’ll turn into nut butter. In a bowl, mix together the ground hazelnuts, dark brown sugar, 1 tsp cinnamon, and salt. Add in soft butter and mix until smoothly combined. Cover and set aside until ready to use. In a small bowl, whisk together all the ingredients. Cover and store in the refrigerator until ready to use. Nice! I love the photos, and you step by step on the forming! Yay! 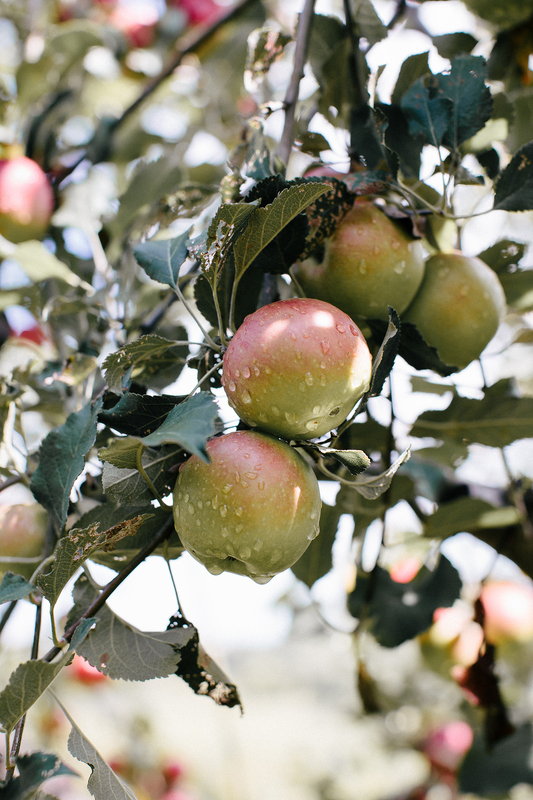 Enjoy the orchards and the apple picking. Even with the warm Cali weather. ;) Let me know what you make with the apples! Thank you, Heather! I always appreciate your kind words. Make that french toast for sure. It’s incredible! We just developed a classic babka recipe here at work. It’s a finicky recipe to develop, but once you have it down, boy is it delicious and fun to make! This Spiced Apple & Hazelnut version sounds incredible. Absolutely stunning images my friend!!! 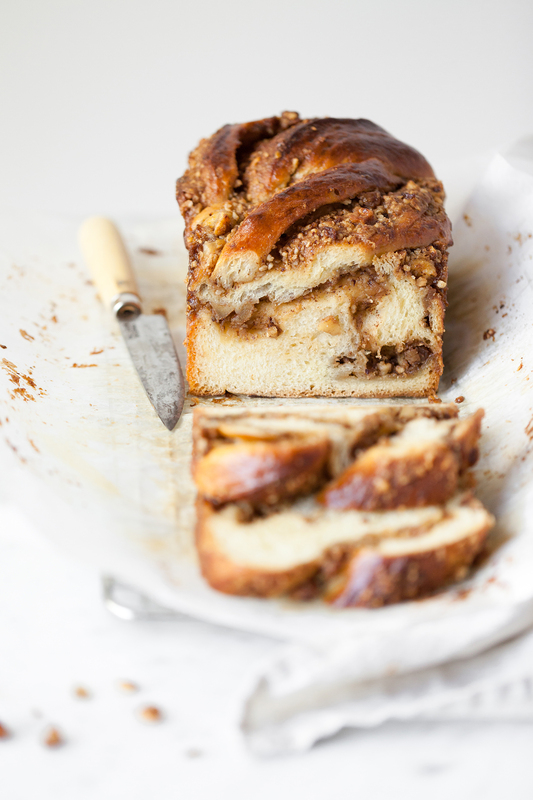 And I LOVE the combination of Apple and Hazelnut too, and its so fantastic in a babka! I never thought of using it as French toast, actually it IS like a brioche! It would taste fantastic! I should try making French toast from it. Thank you, Amisha! You need to make that pear babka you mentioned before. That would be one delicious loaf. Yes, to the french toast too! 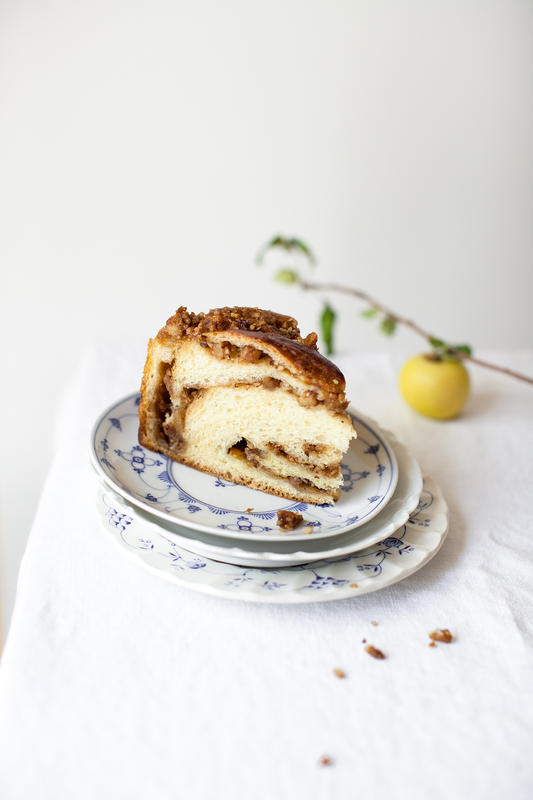 This is such a gorgeous babka, love your apple and hazelnut filling! I’m just about to start this and am wondering if I can freeze the second loaf? At what stage is best to do so? Hi Natasha! You can bake off both of the loaves, let them cool completely, and then place one in the freezer (securely sealed in a freezer bag or double wrapped very well in plastic wrap). When ready to eat, plan to pull it from the freezer and let it thaw at room temperature for at least a couple of hours. From there, slice it and enjoy. You can also place the entire thawed loaf in a warm oven for a few minutes to warm it up slightly. Hope this helps and enjoy! I’m going to try that on this sunday! I have a question about the shaping : on your pictures, did you roll the dough from down to up OR from left to right? Well in fact, do we have to roll the bigger side (which is +-12cm) or the smaller one? Hi Audrey, you’re going to roll the dough “bottom to top” or “down to up” as you put it. Essentially, you’re just rolling the dough up and away from your body into a log shape. You can also roll the dough from the “top down”, because it’ll create the same log shape. Have fun and hope you enjoy it!